Hello. Meet my Left Shoulder. It decided one fine day, about 5 years back, that I needed to stop. That I needed to breathe and let go. And that I had to be there for myself before anyone else. 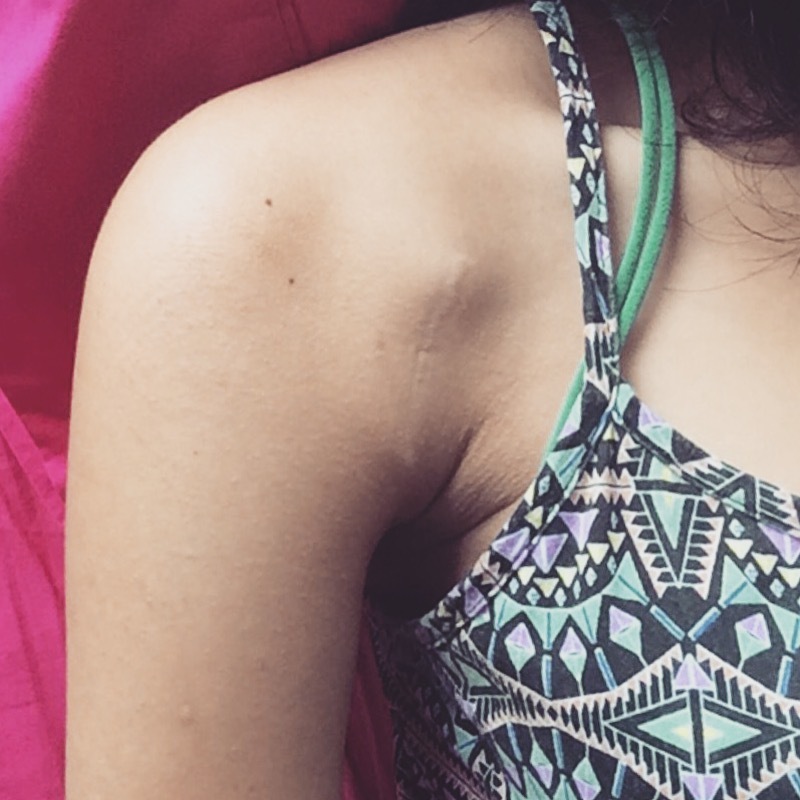 It is this shoulder, my left shoulder, which took me from being in Design class at 6:00pm one evening to an MRI machine at 9:00am next morning. It is this shoulder that first gave me a signal that my body wasn’t doing fine. That I really needed time for myself. I fought to be fixed. I fought really hard. But my body continued to weaken. There were more joints lined up after my left shoulder and I had no clue. I really didn’t know better. That’s where this journey began, in the midst of not knowing. This journey to come home to my own body. To be okay with where I am, to know that it’s okay if things looked different from how I once thought they would be. To learn that different doesn’t mean bad. It simply means different. Different can mean better; just not the same. To know that strength comes only from within. To be alright with emotions. To be okay with falling, and to stand up again stronger. This journey has opened me up to a new world. A world where nothing is more important than health. A world of love and acceptance. Of the body, no matter how wobbly it is. Not matter now unstable it can be. To be grateful for it, not because it could be worse, but because it isn’t. To know that pain and suffering is real but not feel defeated by any of it. To realize that sometimes we are where we are for a reason and to dig deeper into that reason so that one day when we look back, we see how much we have learnt. How much we have grown. To live in the present moment, focus on things we have control over and things that can be changed. And to come to terms with things that we can’t fix. To be okay with limitations and to think about possibilities. To wake up everyday and smile. To keep moving forward one step at a time. To look back once in a while, not at how things were supposed to be, but to see how far we’ve come. And see that we still have it in us to continue. To be our own inspiration.